Escape to a perfect vacation in Costa Brava, the shoreline of the Catalan province of Girona. Discover its breathtaking views of nature and wildlife from the beautiful beaches to the background of mountains. Cadaqués is one of the most historical places in Costa Brava. This small coastal village is hidden away for a peaceful experience of its wonderful beauty. Farther down the coast are popular beaches including Lloret de Mar, L´Estarit, and Playa de Aro. Costa Brava has many isolated beaches and coves that can be reached by walkways along the shoreline. If you are coming to Barcelona and are planning to take a trip to Costa Brava, renting a Barcelona apartment, especially a sea view apartment in Barcelona, is a good way to see the city´s amazing sights and also have easy access to transportation to Costa Brava. 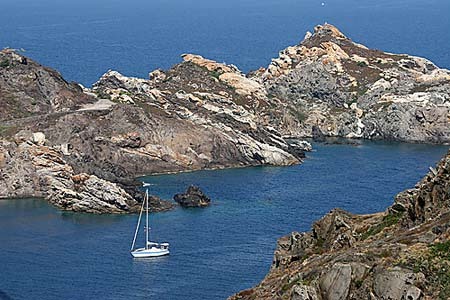 Sarfa run buses to some of Costa Brava´s most beautiful areas such as Cadaqués and Tossa del Mar. Costa Brava is also the home to famous surrealist artist Salvador Dali. On a small bay next to Cadaqués at Portlligat is where Dali worked and lived for many years of his life. The Dalí Theatre-Museum is located in Figueres and holds many of Dali´s prominent artwork since his childhood. For more day trip ideas and great city insights check out Apartment Barcelona´s Facebook page. This entry was posted in Places and tagged barcelona beaches, cadaques, costa brava, dali museum figueres, figueres, lloret de mar, playa de aro, portlligat, salvador dali museum. Bookmark the permalink.